The field is getting smaller and smaller each week in your survivor pool Hopefully you are still among the living. The team that likely did the most damage last week was the Giants in their pathetic loss at home as 10-point favorites against the lowly Seahawks. Other than that there weren’t too many problems unless you have too much respect for the Eagles or the Cardinals or too little respect for the Packers. There are six favorites of at least a touchdown. Of those there are only two that would seem like worthwhile risks for me. The other four have issues that scare me off unless I had to play them. First, the attractive ones. Green Bay plays at home against the Rams. The Packers have been the most complete and impressive team in the league this year. The Rams, to be kind, haven’t. 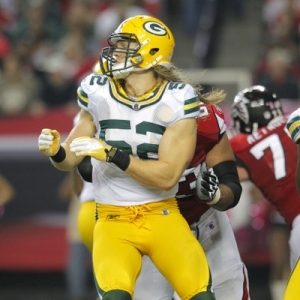 Green Bay plays at home and is very well positioned to shine here. If you haven’t already used the Packers now would be a very safe week to do so. You could be almost as comfortable picking the Steelers against the Jaguars. Pittsburgh has more issues than Green Bay, but the Jaguars are currently in no position to exploit them and the Steelers should comfortably be fine at home. Now the ones I don’t like. The Bengals are favored by a touchdown against the Colts. While the Colts have been lousy, Curtis Painter has shown signs of life, and the Bengals are far from a great team despite their winning record. I wouldn’t gamble on this one. Baltimore is favored by nine at home against Houston. While Baltimore is clearly the better team and Houston has been hit hard by injuries the Ravens are capable of an incomprehensibly bad performance from time to time, and Houston is a playoff-caliber team. Too much of a gamble unless you need to use the Ravens for some reason. Dallas is a seven-point underdog at the Patriots. New England should be able to win, but Dallas is a decent team coming off a bye so they can’t be totally overlooked. There will be far better times to use the Patriots. Finally, the Jets are favored by a touchdown at home against the Dolphins. I would never want to trust a 2-3 team that has played so poorly lately, and Miami is coming off a bye and is unpredictable because of the changes they are going through. The Jets would be a lousy risk. Carolina at Atlanta - A team that was a popular preseason Super Bowl pick is lifeless and deeply flawed. Carolina, on the other hand, is as exciting as a 1-4 team can possibly be. The game could go either way, and seems like a lousy game for these purposes. San Francisco at Detroit - As strange as this would have seemed two months ago, this is quite possibly the best game of the year so far. Both teams have been impressive all year and both were very impressive last week. You could make a case for both teams in this one, so this is a game to watch and enjoy, not one to pick in a survivor pool. Philadelphia at Washington - The Eagles have been a total mess. Remarkably bad. Washington has been surprisingly solid, and has had a bye week to prepare for this one. They are also at home. I would definitely lean towards the Redskins in this one, though it is a pick that would give me an ulcer if I made it because the Eagles have so much potential and the Redskins seem to be overachieving. Buffalo at New York Giants - At first glance I would lean towards the Bills in this one. The problem, though, is that the long pass was such a huge weapon for the first three games for the Bills, but teams have successfully minimized the impact the last two games. The less the Bills have that on hand the less frightening they are — especially on the road. This game would be a pass for me. New Orleans at Tampa Bay - I would pick the Saints without hesitation here — even though they are on the road. Tampa Bay just lost 48-3 to the Niners. San Francisco deserves a lot of credit for that result because they played brilliantly. The Bucs made it easy for them, though, because they played one of the worst games I have seen in a long, long time. It will be hard for the team to shake that off, and harder still to fix the problems that faced them. The Saints showed a lot of heart in a serious brawl with Carolina last week, and is playing good football.